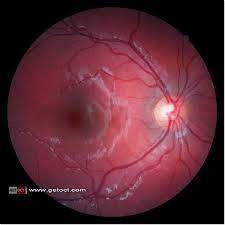 We are pleased to offer our patients digital imaging of their retina. The digital image of the back of the eye can be entered into our data base for a baseline reference against future visits to look for changes. 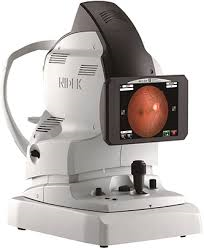 The digital images are an extremely accurate way to monitor certain medical / eye conditions such as DIABETES, HIGH BLOOD PRESSURE, GLAUCOMA, PLAQUENIL RETINOPATHY, and many other sight threatening disorders. The images are stored on our database and can be shared with your PRIMARY CARE PHYSICIAN and other MEDICAL SPECIALISTS if you request us to do so.